Presented by Philip Dodd. With writers Karim Miske and Aatish Taseer discussing their novels, the French tradition of secularism and the influence of religion. 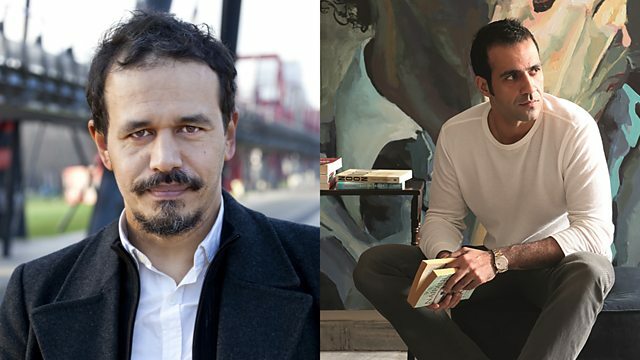 Karim Miské and Aatish Taseer discuss their novels, the French tradition of secularism and the influences of religion with Philip Dodd. They're joined by Dr Sudhir Hazareesingh and Ruth Scurr. Karim Miské is a writer and documentary maker based in Paris whose novel Arab Jazz won the Grand Prix de Littérature Policière - the most prestigious award for crime and detective fiction in France. Aatish Taseer divides his time between New Delhi and New York. His first novel The Temple-Goers was shortlisted for the Costa First novel and his memoir travelogue Stranger to History : A Son's Journey Through Islamic Lands is translated into more than 14 languages. His new novel is called The Way Things Were. Dr Sudhir Hazareesingh, from University of Oxford, is the author of books on Napoleon, the influence of General De Gaulle, the intellectual founders of the republic and in June his new book How the French Think: An Affectionate Portrait of an Intellectual People will be available. Ruth Scurr, from the University of Cambridge, is the author of books including Fatal Purity: Robespierre and the French Revolution. Her book John Aubrey: My Own Life comes out in March.